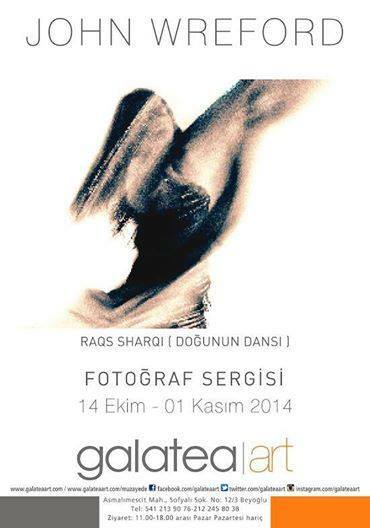 “Dance of the East” at Galatea Art Gallery! “Raqs Sharqi” (Dance of the East) by photographer John Wreford will be exhibiting at Galatea Art Gallery in Beyoglu, Istanbul. The exhibition will continue until 1 November. Wreford explains his work as; beautiful fine art images of Oriental Dance, not the stereotypical image we are used to seeing but showing emotion, grace and movement. The opening will be at 18:00 on Tuesday 14 October.